Luckily for our neighbors, I did not get to drive an excavator this week. Last week the ReBuild Green dream team worked at breakneck speed deconstructing our house and garage in a mere three days. 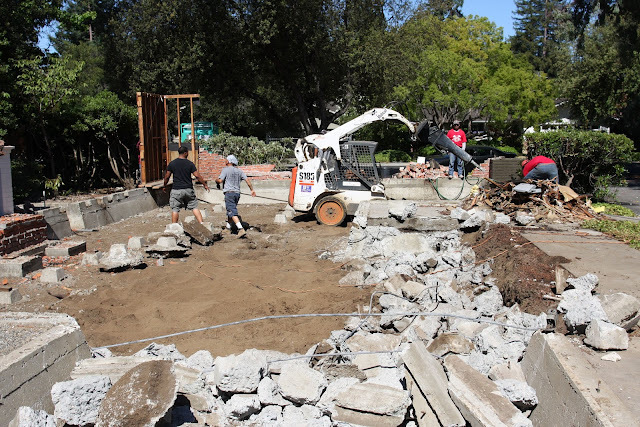 With only the foundation and driveway left, it looked like we'd be done in one more day. Winning! Sadly before I could give high-fives all around, we were slapped in the rear with a time-out. 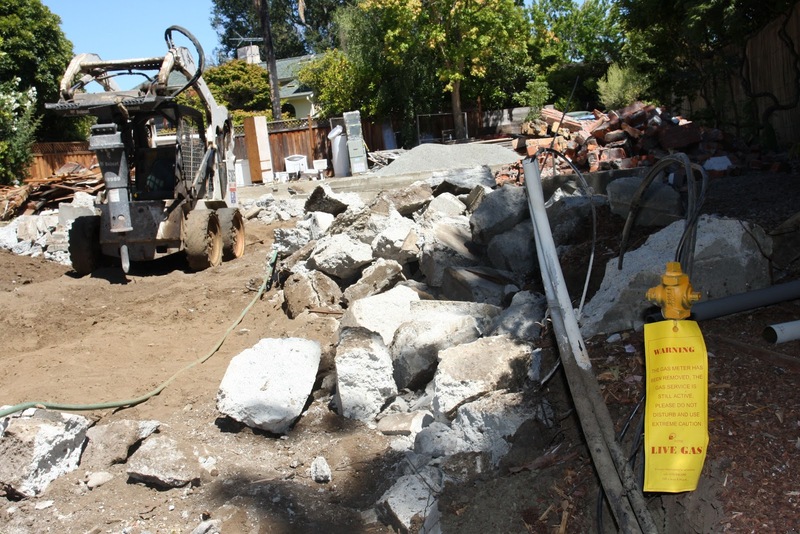 This week was spent at a standstill while waiting for the various city of Palo Alto utilities departments to perform their requisite sign-offs and shut-offs. To those who don't know any better (e.g. moi), it seems pretty simple...just flip the big switch that turns off our power, water and gas, right? No ma'am, it's a little more complicated than that. While deconstructions get fast-tracked before building permits, it still takes up to 10 working days after you've filled out all the forms and paid the fees to get your water, gas, wastewater and electric utilities disconnected. 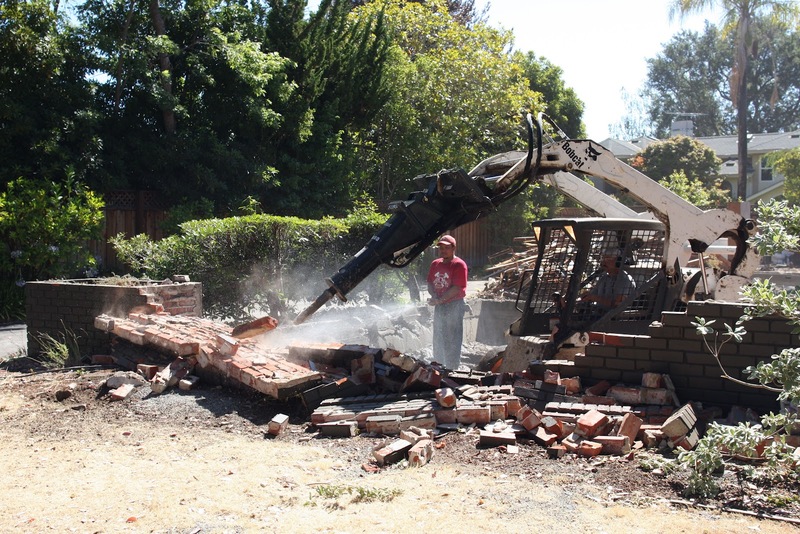 [For more details, see: A Guide to the City of Palo Alto Utility Disconnections Prior to Any Building Demolition or Excavation.] For people who have trouble reading instructions (e.g. moi), the process of running around to the various departments to fill out forms and pay fees adds another few days to the count. And in case you're wondering, calling the various departments everyday to check where you are in the queue doesn't appear to speed up the process. By the time Friday rolled around, everything was disconnected except the gas line to the street. Woohoo! However, the gas utility guy (who graciously returned phone calls from both me and our contractor) predicted it'd be up to another week before the gas shut-off. Boo. 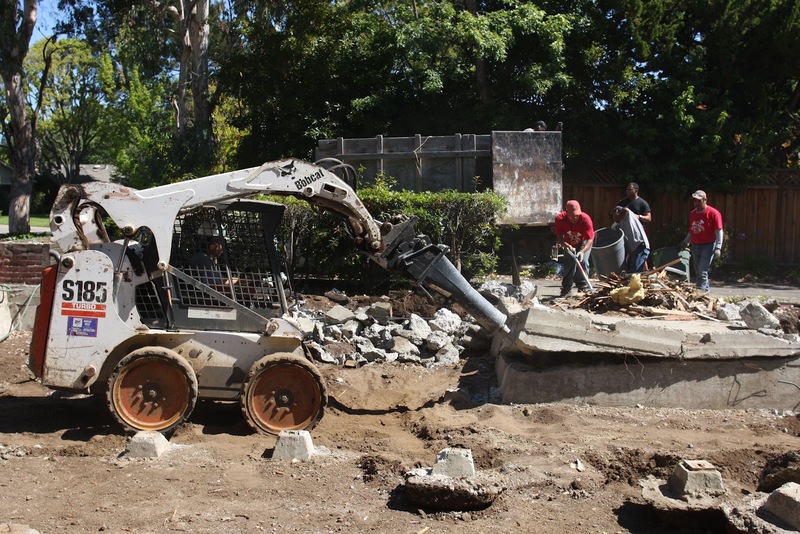 A Bobcat poking apart the foundation (water is sprayed to control the dust). Um, Roderick, you know the gas line to the street is still live, yes? Yeah, no problem! he said. It turns out, Rod (the owner of ReBuild Green) found a creative workaround to our waiting for Godot dilema. That morning he had driven over a Bobcat tractor that he had borrowed from his buddy Scott (owner of Scott's Demolition) who was doing another job in Palo Alto. It was armed it with a telescopic sledgehammer-like attachment which I, being a wordsmith and all, dubbed "the Pokey thingy." 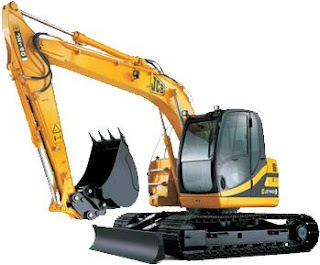 Rod explained that unlike an excavator, the Pokey thingy "delicately" breaks up the foundation without disrupting the ground and gas lines. 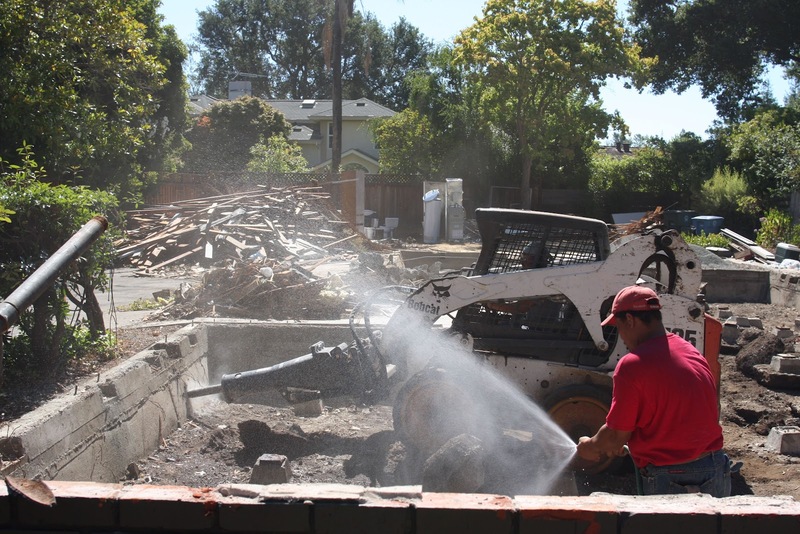 The process is more labor intensive than excavation and will take an additional day or two, but I'm betting we'll still be done before the gas gets terminated. Kudos to Rod, Scott and everyone at ReBuild Green for salvaging everything including what would've otherwise been a wasted week. This slab of concrete is no match for Pokey. with a sledgehammer. 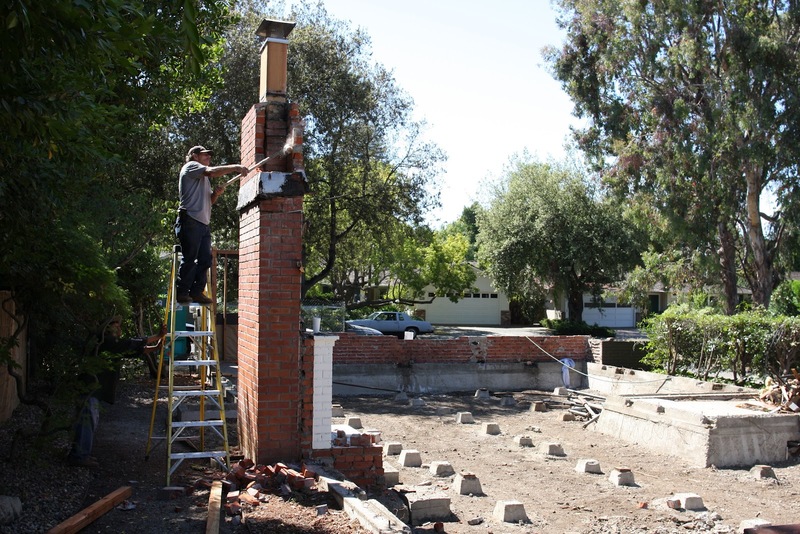 Watching the effort made us decide we don't need a chimney in our new house. One poke and the brick wall comes tumbling down. until the very end when the guys carefully dismantled it by hand. 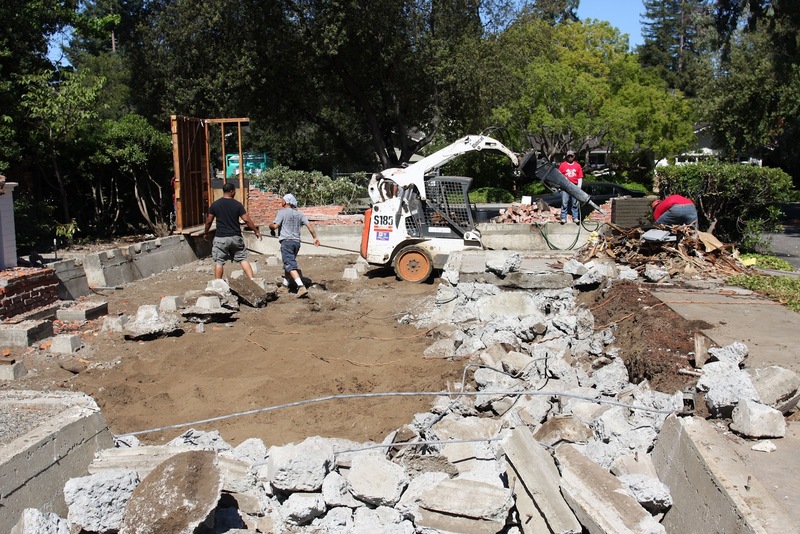 All concrete will be recycled and ground up to make asphalt. No gas lines (lower right) were harmed during the making of this blog post.